Nothing warms the body and the heart like a bowl of good soup! 2 cups of other vegetables you like or have on hand, i.e. mixed frozen, corn, peas, green beans, lima beans, turnip. In a dutch oven or stock pot, heat the oil on high. Add the beef and brown it on each side. Lower the heat to medium; add onion and celery and stir until softened. Add garlic and sauté an additional 2 minutes. Add tomatoes, barley, stock/water, bay leaf and thyme or oregano. Simmer on low for 45 minutes. Remove the beef and cool it enough to remove the bone, trim and dice the meat and remove the marrow. 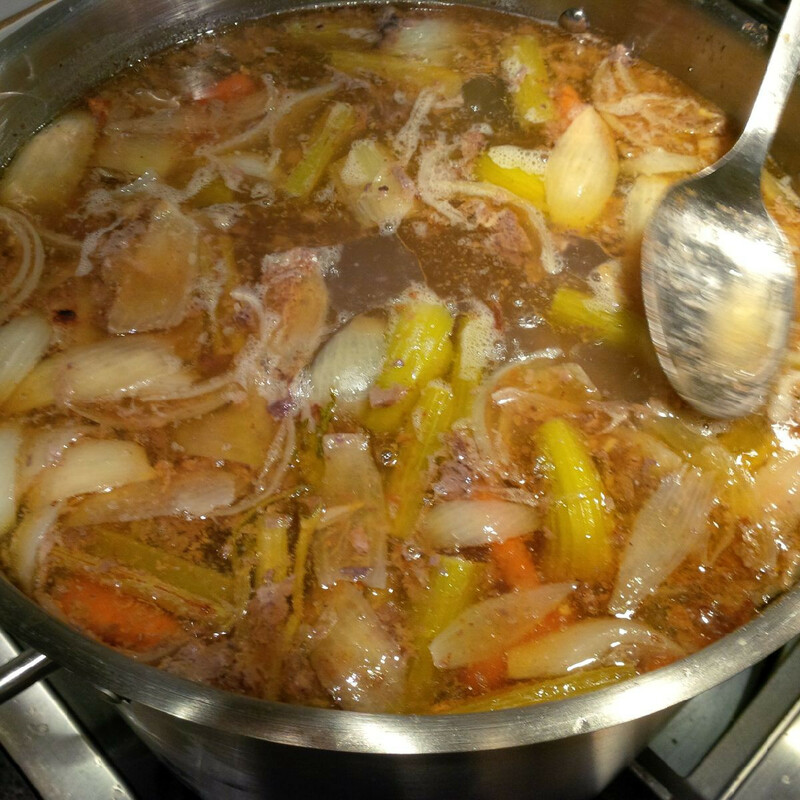 Return the diced beef and the marrow to the soup. Add potatoes, carrots and any vegetables (like turnip) that will need time to soften. Simmer 20 minutes. Add additional vegetables, salt and pepper, wine or lemon, and simmer 10 minutes or until all vegetables are tender. Garnish with parsley and serve.